If you follow me on social media you’ll know that my coffee habit is real; I’ve started worrying about how this might be discolouring my teeth. With so many trips, weddings and events coming up over the next few months, teeth whitening is something that I’ve been thinking about, so when The White House got in touch and invited me for a treatment in one of their clinics, I jumped at the chance. The White House have clinics in Swords, Dundrum, Galway, Belfast and Edinburgh. I visited the Dundrum clinic and was met by the lovely Dymphna, who thoroughly talked me through the process. I signed a quick consent form and then sat into the chair. Dymphna measured my teeth against the colour chart. She then started by inserting the mouth guard and applying the pre-treatment gel which is left on the teeth for 5 minutes. 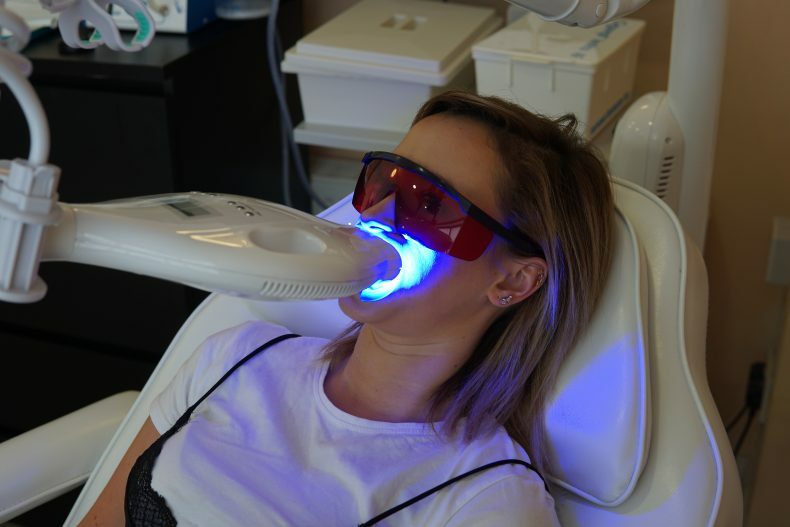 Then the whitening gel was applied and the teeth whitening laser was used, this was used in three courses for fifteen minutes each. During the treatment Dymphna regularly checked that the light was correctly placed and that I was still comfortable. The consultation and treatment took about an hour in total. It’s completely non-invasive, there was absolutely no pain and no sensitivity afterwards. My teeth were initially quite high on the teeth chart, in that they were relatively white to begin with. 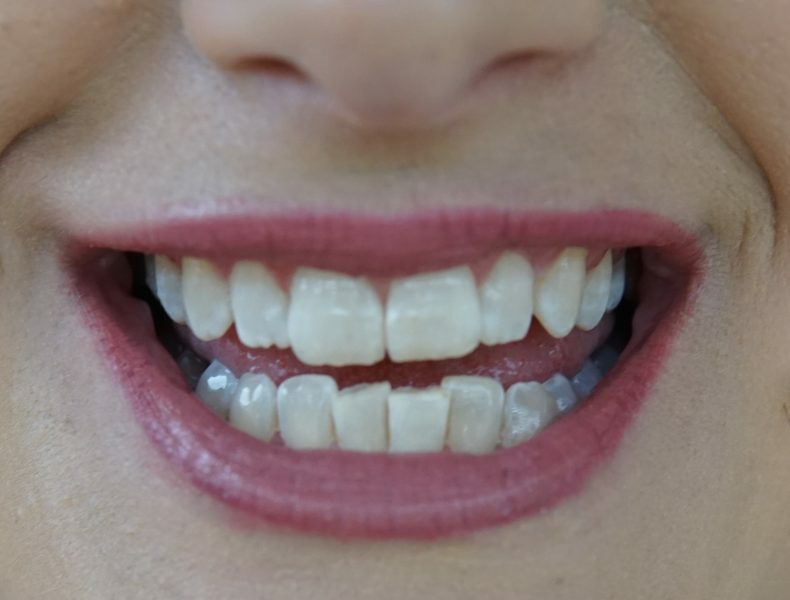 I was unsure whether the teeth whitening would have much of an effect, however, afterwards they were brighter and had definitely visably whitened. The White House have a 100% money-back guarantee if your teeth do not whiten by a minimum of 5 shades. They currently have a “Special” on the Full Advanced Teeth Whitening Treatment (the treatment I had) of €99. I’d have no hesitation in recommending The White House for teeth whitening as I’m delighted with the results. Be sure to let me know if you visit them – I’d love to know how you get on! ** Please note: The White House provided this treatment free of charge, however, as always, all the opinions and views are my own. I will always disclose when I am collaborating with a company or brand.